Police on Wednesday released two surveillance images of another suspect wanted for an alleged assault during the rally. Police on Wednesday arrested three more suspects in connection to attacks during last week's Donald Trump rally in San Jose. The suspects are minors, police said. Two of the suspects face felony assault with a deadly weapon charges, while the other faces a misdemeanor battery charge, police said. Police on Wednesday also released two surveillance images of another suspect and is asking for the public's help in identifying and locating that person. The suspect is also wanted for an alleged assault during the Trump rally. Anyone with information is asked to contact the department's assault's unit at 408-277-4161. On Tuesday, police identified four suspects, all teenagers, that were arrested during the violent rally last Thursday. Ahmed Abdirahman, 19, Robert Trillo, 18, and Antonio Fernandez, 19, were arrested for assault with a deadly weapon. Michael Kitaigorodsky, 19, was arrested after refusing to disperse, police said. 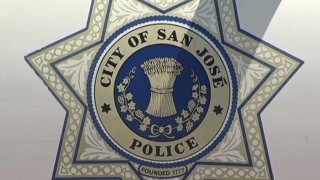 All four teenagers reside in Santa Clara County, police said. During Thursday's rally, a police officer also was assaulted, a woman was egged, and others in attendance left with cuts and bruises.